The Safco Portable Steel File Tore and Desktop Organizer is a great unit for saving desk space while keeping a clutter-free work environment. 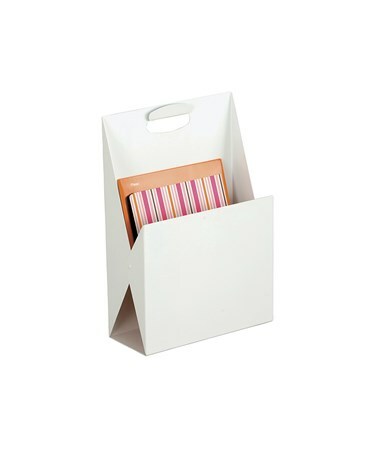 This multi-functional storage works on a desk or under the table and has a wide opening to hold office supplies, important documents, folders, catalogs, and other related items. An integrated handle is added to this unit for easy portability. 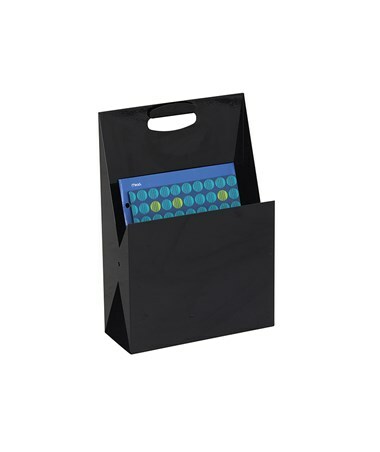 Notes and handy magnetic memo board are easy to use with this organizer’s smooth-textured front. 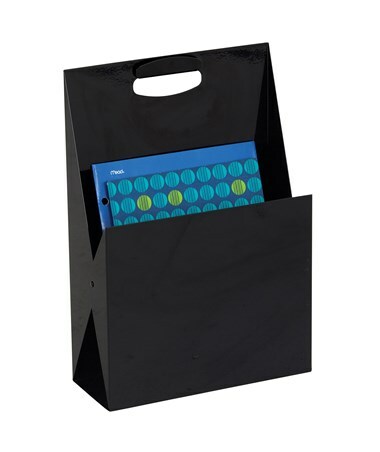 This organizer is made of steel with a powder coat finish. It is ready to use and does not need assembly. 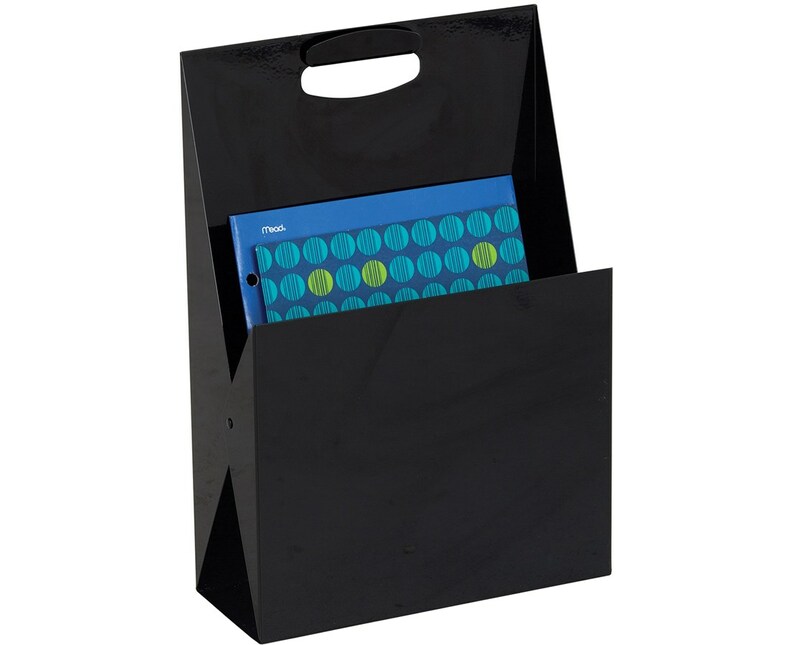 The Safco Portable Steel File Tote & Desktop Organizer is available in two colors. Please select your preference from the drop-down menu above.